Beautiful one owner home in the country on 1.7 acres. 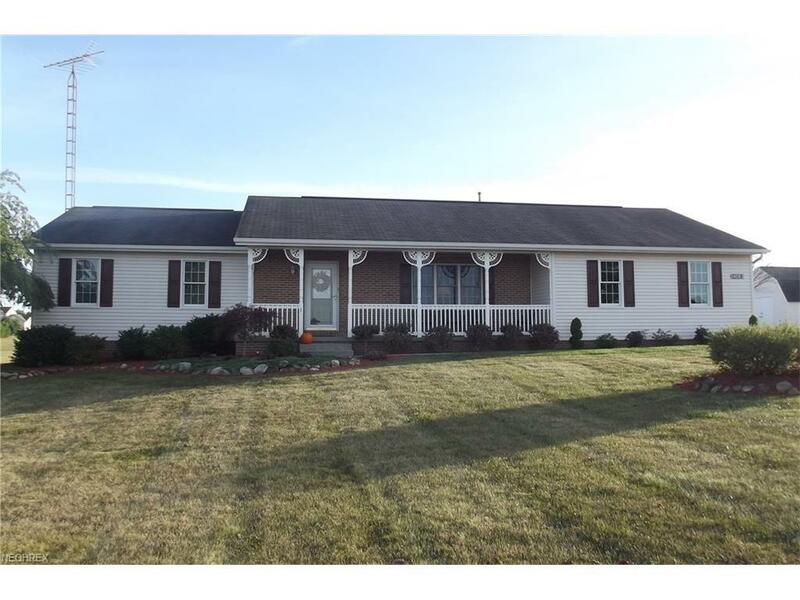 Ranch home with 3 bedrooms and 2 full baths. Country kitchen with newer stainless steel appliances, open to family room with gas log fireplace. Tile entry foyer and formal living room. Sliding doors to covered porch and large cement patio. First floor laundry room. Full basement. Attached garage with opener. New concrete driveway. Two storage sheds. This home is in beautiful condition and ready for your family to move into.